The Billboard charts are broken, and who knows when they’ll get fixed. If you’ve been following the Billboard 200 at all this year, you might notice that most chart-toppers are selling a suspicious number of traditional albums—those ancient things called CDs or digital downloads—at a time when apparently no one buys music. Chalk it up to ticket-bundling. You’d be hard-pressed to find a chart-topper in the past several months that didn’t use this Billboard-approved cheat code. From Pink to The Killers, Foo Fighters, LCD Soundsystem, and nearly everyone in between, a significant amount of No. 1 albums have gotten there by promotions that include either a CD or download with concert ticket purchases. This tactic has been around since 2004, when Prince included a copy of his studio album Musicology with the purchase of tickets for his tour. But ticket-bundling wasn’t as much of a requirement to top the charts back then, when the record industry was still close to full health. Now, it’s the norm for an easy chart boost, especially for artists who can’t rely on tens of millions of first-weeks streams. 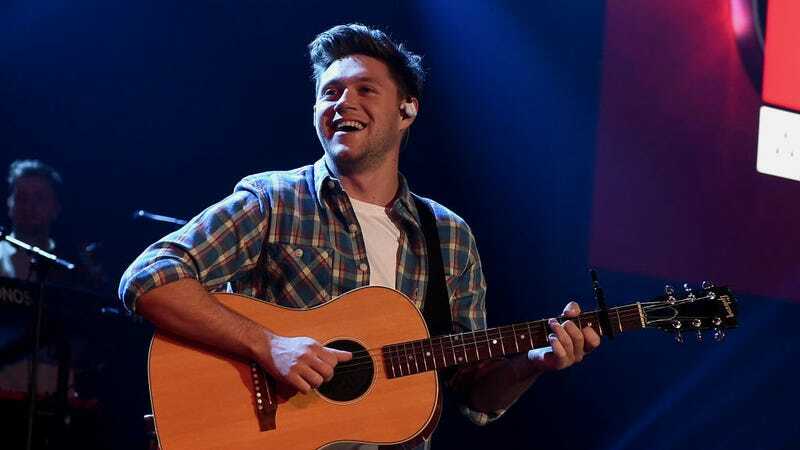 Further, Flicker’s first-week sales were bolstered by a concert ticket/album sale redemption promotion in association with Horan’s tour. Such promotions have enhanced the sales for such No. 1-debuting albums in 2017 as P!nk’s Beautiful Trauma, Shania Twain’s Now and The Killers’ Wonderful Wonderful. For Horan’s offer, the cost of the physical CD of Flicker was bundled into the price of each ticket sold online for his tour. After purchasing a ticket, customers received (via email) a redemption offer for the album, where they could choose to redeem the CD and have it mailed to them. The only sales that count towards the charts are those albums that are redeemed by customers. Many ticket buyers never redeem the offer. Even so, ticket-bundling provides enough of an incentive for artists to still take advantage of it. Back in 2004, when Prince used the hack to coast to No. 1, Billboard added two regulations for bundling—one of which was employed by Horan—but didn’t do away with it completely. Which means ticket-bundling isn’t going anywhere. The marketing tactic restores an artificial sense of calm to an industry that’s been struggling to monetize streams and clicks as digital downloads have sagged over the past five years. If anything, we can only expect bundling to increase as more artists recognize it as the easiest way to game the charts—whether or not their fans are actually interested in buying the albums. Everything is fine. We’ve reached out to Billboard for comment, and will update this post if we hear back.